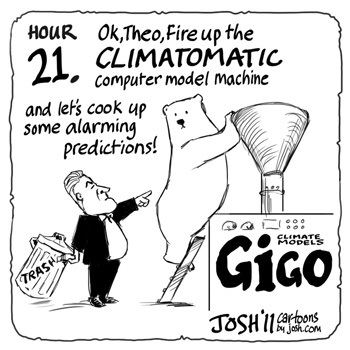 24 Hours of Climate Reality: Gore-a-thon – Hour 21 | Watts Up With That? Portuguese blog Ecotretas here reveals how the IPCC completely botched its forecasts for East African rainfall in claiming the Horn of Africa should expect more precipitation. With severe drought now ravaging the region, the IPCC forecasts and models are beginning to look like a complete farce. 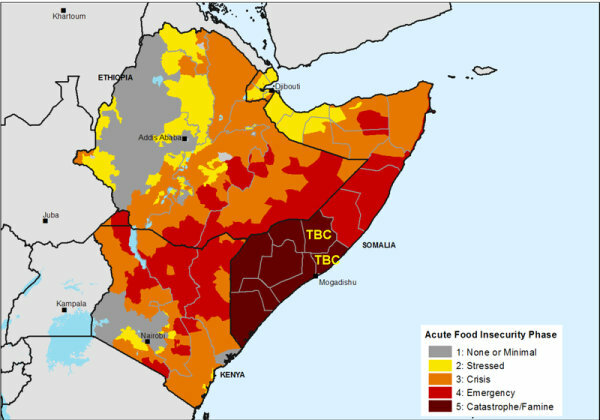 Lately we have all been hearing about the serious drought that has been causing misery in impoverished East African countries – especially Somalia with tens of thousands of deaths, and some 750 000 expected to die in the next four months, Ecotretas points out that “one would imagine that the IPCC would have predicted it” with their multi-million dollar super computer models and “leading scientists”. Well, it turns out they indeed made forecasts back in 2007, but today just the opposite is occurring, i.e. instead of getting more rainfall, as was forecast by the IPCC, rainfall has all but disappeared. So much for the ensemble of models. Surely one can only conclude that the claims made by the IPCC’ models concerning global temperatures for the next 100 or 200 years simply can no longer be taken seriously. Read more at ECOTRETAS here. How about lets generate a Hockey Stick for Al….If enough of us tune in to his broadcast say, at 8:30pm GMT (2030) we might be able to do it. A Spanish guy is making the Portuguese presentation!!! It’s a good thing the coin landed on tails because if it landed on heads, it would be PROOF the models are predictive and a good representation of the climate system. Since they fell on their faces so completely, it will only be hours before the modelers issue an apology…. Oh yea. If the warming had accelerated, the artic had melted and the troposphere had caught on fire, the warmies would be masturbating with baseball bats but since it didn’t, it still proves AGW. Gore is a nasty piece of work – remember how his followers tried to paint his old mentor Roger Revelle as being mentally ill after he changed his mind on the causes of climate change? Your blog is vital for laypeople who want an intelligent way to debunk the rubbish cooked up by Gore and his fellow-travellers – keep up the good work! I wonder if their models can predict which finger I’m holding up. Gore is a nasty piece of work – remember how his followers tried to paint his old mentor Roger Revelle as being mentally ill after he changed his mind on the causes of climate change? Not Just Al Gore, I’m having an interesting discussion with an influential blogger and avid supporter of Skep Science on another blog who genuinely believes that many skeptics must be Sociopaths due to their views on climate change. The fact he has never met these people or carried out any diagnostic tests does not seem to worry him in using such labels. In some ways it encapsulates the philosophy of the Climate change Taliban. Each and every Warmista is a pathological narcissist with his head firmly buried in the sand of his own backside. Not one of them dare venture outside his computer model. Yes, I am serious and do believe what I wrote. Tune in, turn off and drop out. Doesn’t one season of drought count as weather ? The Horn of Africa gets drier when the Sahara moves South (a cooling globe) and wetter when the Sahara moves North (a warming globe). Simple. Any model that fails to anticipate latitudinal shifts in the global air circulation systems is worthless. That means all of them at present. Drought is natural, famine is man-made. Famine happens when the carrying capacity of the land is exceeded by the population. We, from the west, have actually exacerbated the situation in East Africa by providing aid. We have allowed the population to exceed the carrying capacity of the land. We have made this problem by our own misguided actions. The Horn of Africa has never been able to support the level of population that we have brought about by our ill-informed aid efforts. Now that the amount of aid is declining, the mortality rate is rising. Once again, the west has interfered and simply worsened the problem. It’s a fact that some quick internet research will educate anyone to the fact that the debate on AGW is not over. The science is not ”settled” (whatever that means) All there is for “evidence” of AGW is output from computer models. Climate scientists call this stuff “data”. If one is over fifty, say, he probably is less likely than a youngster to trust anything computer generated. Let alone doomsday, “The end is near“, crapola. When I was younger I saw people wearing sandwich board signs prophesying doomsday. They were doing the same thing AlGore does today only he uses powerpoint instead of the sandwich board. Same thing though. Why can’t it be : “Congratulations children, The Energy sources that fuel our economies and our prosperity, give us long life and comfort, these fossil fuels will also cause our planet to warm gently, about 4 degrees over the next century. What luck! The Earth is not warming of late though. Too bad. “painstaking”, “data”, “observations”, “the climate record”, “consensus”, “deniers”. his decrepit mug sequestered in a various alarmist-panel line-ups. as due to the satanic CO2, when it was their own accolytes mismanaging the dams! or worst of all “natural variability”. I took the above link after switching to the 1 month scale but when I’ve tried this in the past the link sometimes defaults to the main setting. If this happens again you’ll need to do the switch to see what I’m talking about. So the 22 computer model posted in the NSF site according to you are just crap because you say so of because there is drought in the horn of Africa. Al Gore didn’t invented that , Al Gore didn’t predicted that. Those are simply models, not facts, when we hear 80% of rain chance is based on a model. I have news for you there is a 20% of chance that it will not rain. Those are approximations, estimates which are expected to be less accurate when done over a long period of time into the future , so if the wetter horn of Africa didn’t started exactly in 2009 doesn’t mean is crap, don’t be silly. When I read the ignorance of many that posted in this place (that I found by chance and that of the Ecotretas) is just amazing. I am a scientist thought not a climate scientist. I know how science works , yes many time predictions do not get it right, but if anybody denies that Climate change is taking place as we speak is just an idiot. I could accept the question on how much man made activities influence climate change, but not to deny that climate change is a ‘fact’. Please for those that are not scientist let the scientist do the analyses and predictions and don’t let bloggers and Glenn Becks of the world to dictate which way to go because yesterday we had snow. If it were for people like you we wouldn’t have even cured smallpox or polio by now. Don’t play scientist if you aren’t one.